I love the frenetic energy during bridal prep. 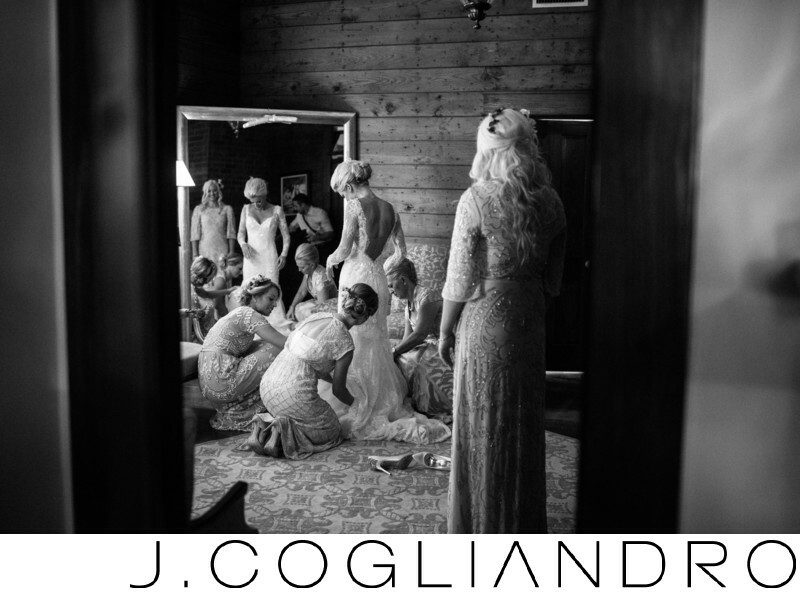 All of it culminates in this quiet moment between the bride, her mom and her sisters. Stepping back from the unfolding story I found the perfect spot to capture this timeless moment.